This modern swoop arm chair is upholstered in soft, lush velvet. 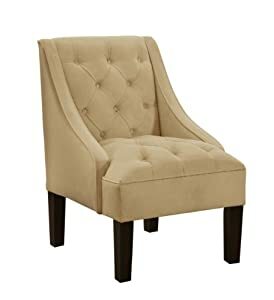 Its unique silhouette with deep, diamond tufting makes this chair the perfect blend of comfort and fashion. It would make a great addition to any room.